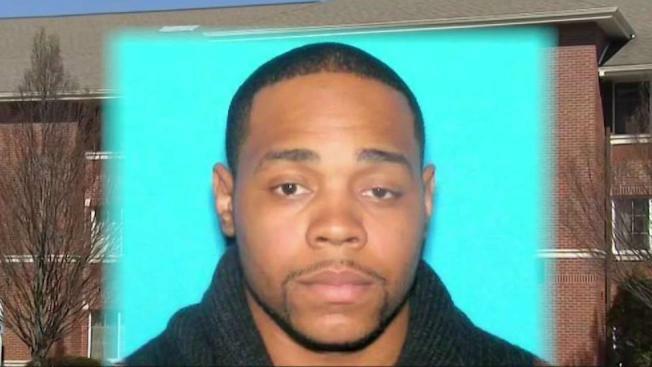 Waltham police said they are attempting to locate 29-year-old Darren Dyette. He is wanted for an assault that happened on Fourth Avenue at the Extended Stay America hotel at 5 a.m.
Police are looking for an "armed and dangerous" man in connection with an assault early Monday morning in Waltham, Massachusetts. Anyone who sees Dyette is asked to call 911 and not to approach him, as they say he is considered "armed and dangerous." Waltham police said Dyette was seen in the area of Main Street and Bear Hill Road around 5:30 a.m. A foot pursuit ensued, followed by a large-scale search of the surrounding area involving multiple agencies. But Dyette eluded capture. Waltham police are attempting to locate 29-year-old Darren Dyette for an assault that happened at a hotel Monday morning. Aerial footage from NBC10 Boston's Sky Ranger helicopter showed police searching the Avalon apartment complex in Waltham. Officers could be seen with guns drawn, apparently looking for the suspect. A Massachusetts State Police helicopter was also spotted flying overhead. Waltham officers rushed back to the apartment complex Monday afternoon after getting a call about the suspect, perhaps in one of the buildings. Some people in the complex weren’t even aware of what happened, despite reverse 911 call from police. There was a mention of a firearm at the scene of the assault, police said. They said he has a lengthy criminal history. Waltham Schools said they determined there was no "immediate threat" and they will resume normal activities and normal dismissal.